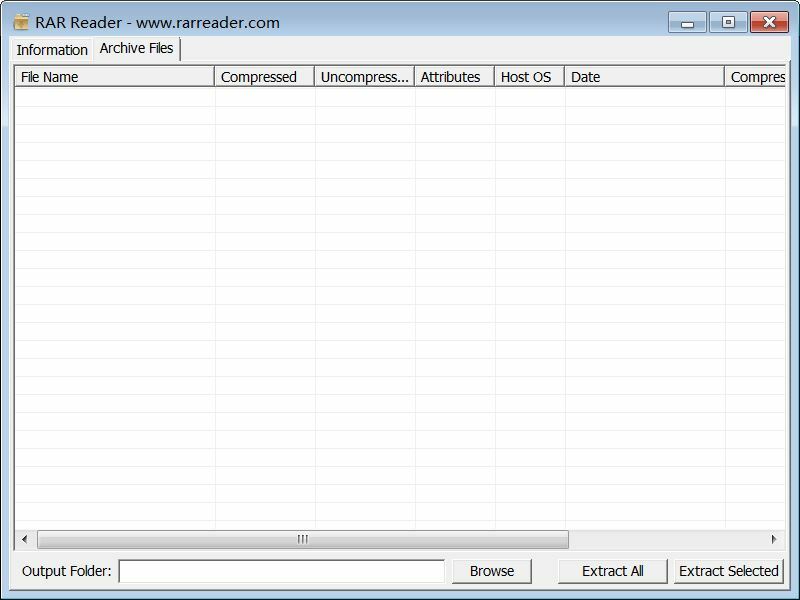 RAR Reader is a free RAR file viewer and decompressor, RAR file format is a very popular an archive file format, this small software can help you to view all important RAR metadata, it is a powerful tool for unzipping RAR archives. 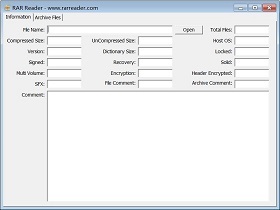 The metadata supported by this software include: Total Files (files and folders), Compressed Size, UnCompressed Size, Host OS, Archiver Version, Dictionary Size, Locked, Signed, Recovery, Solid, Multi Volume, Encryption, Header Encrypted, SFX, File Comment, Archive Comment and Comment. 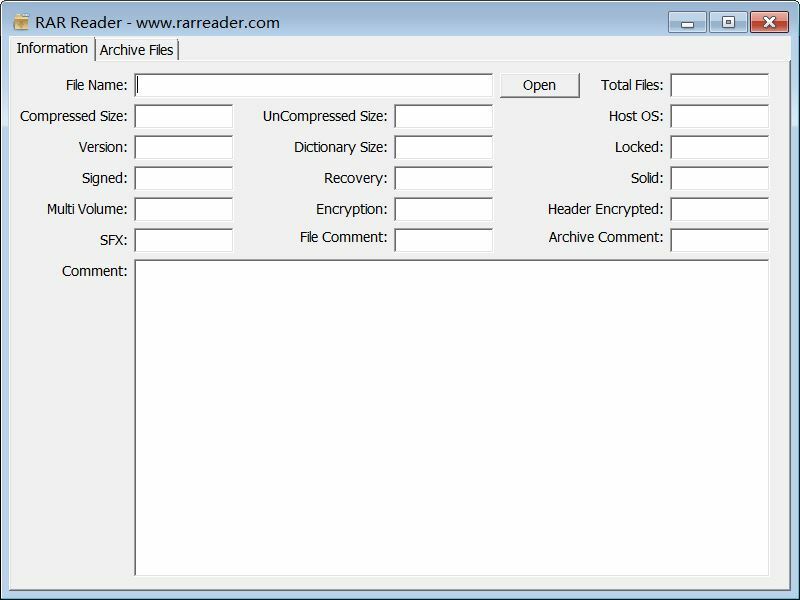 The detail for each archive file and folder include: File Name, Compressed File Size, Uncompressed File Size, Attributes (ReadOnly, Hidden, SysFile, Directory, Archive, AnyFile), Host OS, File Date, Compression (stored, fastest, fast, normal, good, best), Version, Encrypted, CRC Value. 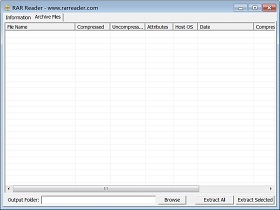 This software is distributed under Freeware license, and completely free for personal and non-commercial use. It is 100% clean and easy to use.